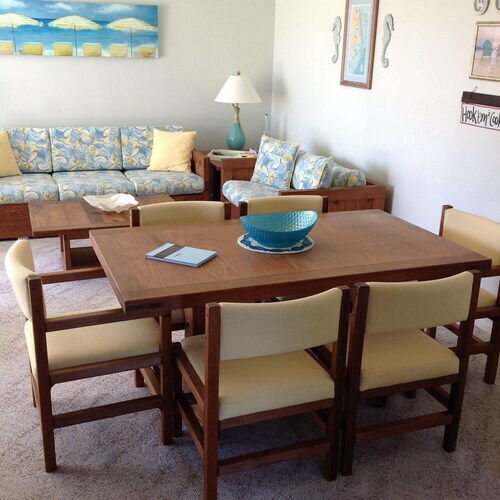 Located in Emerald Isle, this beachfront condo resort is in the entertainment district and within a 15-minute walk of Water Boggan Water Park and Emerald Plantation. Bogue Inlet Fishing Pier and Emerald Isle Woods Park are also within 2 mi (3 km). This family-friendly Emerald Isle condo building is located on the beach, within a 10-minute walk of Emerald Plantation and Water Boggan Water Park. Emerald Isle Woods Park and Bogue Inlet Fishing Pier are also within 2 mi (3 km). Situated in Emerald Isle, this condo building is within 1 mi (2 km) of Water Boggan Water Park, Emerald Isle Woods Park, and Emerald Plantation. Bogue Inlet Fishing Pier and The Golfin Dolphin are also within 3 mi (5 km). Situated in Emerald Isle, this condo building is within a 10-minute walk of Emerald Plantation and Water Boggan Water Park. Emerald Isle Woods Park and Bogue Inlet Fishing Pier are also within 2 mi (3 km). 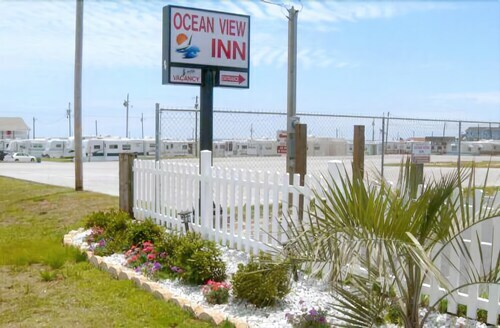 Situated near the beach, this motel is within 1 mi (2 km) of Bogue Inlet Fishing Pier and Emerald Plantation. Water Boggan Water Park and Emerald Isle Woods Park are also within 3 mi (5 km). How Much is a Hotel Room in Emerald Isle? Hotels in Emerald Isle start at $99 per night. Prices and availability subject to change. Additional terms may apply. 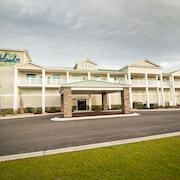 For those wanderers who find themselves roaming through Morehead City and plan on making a stop in Emerald Isle, there are a small range of hotels. Travelocity's booking page currently has listed 5 lodging options within easy driving distance of the city center. Read about many lodgings that are within a 3 miles (5 kilometers) of Emerald Isle's city heart, including the Oceanview Inn and Harborlight Guest House. The DoubleTree by Hilton Hotel Atlantic Beach Oceanfront is about 13 miles (21 kilometers) from the main part of Emerald Isle. If you would prefer another option, the Hampton Inn & Suites-Atlantic Beach is 13 miles (20 kilometers) away. You could also choose to make a reservation at the Hampton Inn Morehead City or the Peppertree Atlantic Beach Villas a Festiva Resort. If you are wanting to discover some more of the beaches and coastal plains that can be found in this region of United States of America, you would be wise to also enjoy some extra nights in other destinations in Coastal North Carolina. If you throw yourself at commonplace pastimes, such as hiking, horse riding and cycling, or instead rather cross the region to explore the attractions, you'll be able to find the most comfortable places to stay around here. 16 miles (25 kilometers) to the east of Emerald Isle, you will reach Atlantic Beach, where you can spend a few hours exploring Fort Macon State Park and Anchorage Marina. The Quality Inn Morehead City and Econo Lodge Crystal Coast are just some of the Travelocity-recommended hotel options in Atlantic Beach. 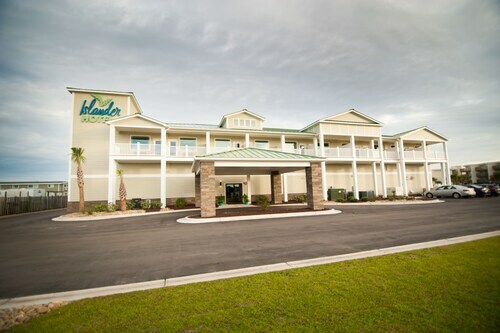 Or, you could consider staying in Pine Knoll Shores, 11 miles (17 kilometers) to the east of Emerald Isle, where you can pick from the Holiday Inn Express Hotel & Suites Morehead Cty and Atlantis Lodge. If you stay in Pine Knoll Shores, set aside a little time to check out the North Carolina Aquarium at Pine Knoll Shores and Country Club of the Crystal Coast. Craven Regional Airport is a primary gateway for those accessing Emerald Isle. You can find it 30 miles (46 kilometers) from the heart of the city. For wise travelers who have plans to stay close by, enquire about The Captain's Stay or The Aerie Bed and Breakfast. the owners were very nice. They were still recovering from the hurricane but made every effort to make the stay nice. 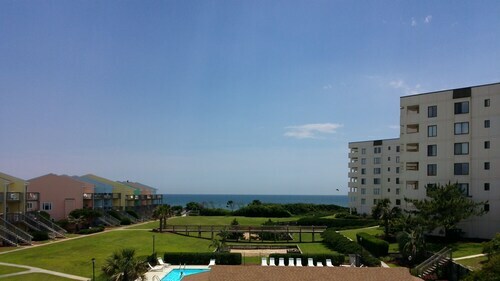 Beautiful Oceanfront In Middle Of Emerald Isle!